The Japan Commercial Arbitration Association (JCAA) has issued an announcement that it is (i) amending its two current sets of arbitration rules and (ii) introducing a revolutionary set of rules designed to provide efficient and cheap civil-law style arbitration. The amended Commercial Arbitration Rules (Commercial Rules) – effectively the JCAA’s main set of arbitral rules – where cost efficiency is a greater priority. 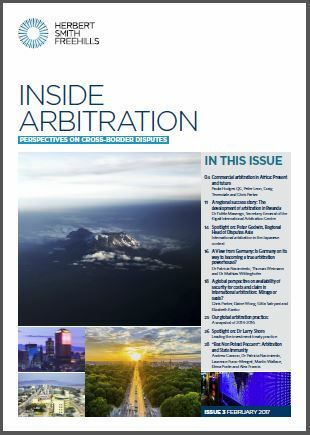 The newly enacted Interactive Arbitration Rules (Interactive Rules) where cost efficiency is paramount. The new sets of rules will come into force on 1 January 2019. The last few weeks have seen anti-Japanese protests in almost a dozen Chinese cities. Demonstrators took to the streets apparently in response to the latest developments in a long-standing dispute between China and Japan concerning a group of islands in the East China Sea called Senkaku in Japan, Diaoyu in the People’s Republic of China (China) and Diaoyutai in the Republic of China (also known as Taiwan) that each of these countries claim as their own. The archipelago, which consists of five uninhabited islands and three rocks situated approximately 120 nautical miles northeast of Taiwan and 240 nautical miles southwest of Okinawa, has been administered by Japan since its return from US trustee administration in 1972 despite claims to its territory by both Beijing and Taipei. Tensions increased when on 15 August 2012, Chinese activists sailing from Hong Kong landed on one of the islands and raised flags of both China and Taiwan, before being detained and deported back to Hong Kong. A few days later, about 150 Japanese activists sailed to the islands to support their country’s claim to the territory, sparking the weekend’s protests in China. On 26 February 2010, the Tokyo High Court upheld the Tokyo District Court’s Decision No. 3 of 28 July 2009, refusing to overturn an arbitral award pursuant to Japan’s Arbitration Law of 2003 (the “Arbitration Law“). Article 44 of the Arbitration Law sets out six grounds for setting aside an arbitral award, including: (a) that the party making the application was unable to present its case; and (b) that the award is contrary to public policy or morality in Japan. The arbitral award under consideration had been rendered by a Tribunal sitting in Tokyo, applying the laws of Taiwan and administered under the International Arbitration Rules of the International Centre for Dispute Resolution (“ICDR Rules“) of the American Arbitration Association.